Michelman is excited to introduce its new family of Unyte surface modifiers formulated specifically for manufacturers of technical textiles and pre-preg fabrics. Michelman is excited to introduce its new family of Unyte surface modifiers formulated specifically for manufacturers of technical textiles and pre-preg fabrics. Designed to help technical textiles and pre-preg fabrics achieve advanced form and function in both woven and nonwoven materials, this brand of water-based emulsions act as binders for carbon, glass, aramid, basalt, UHMWPE, natural, and other polymeric fibers. The performance and production of technical textiles are enhanced through six distinct pillars of functionality: binding, adhesion, processability, heat resistance, print receptivity, and anti-blocking. Unyte Bind offers multiple solutions that improve fiber-to-fiber adhesion. This improved binding of fibers creates a better structure for applications such as laid or woven scrim and pre-pregs. Unyte Grip promotes the adhesion between fibers and polymeric matrices helping to improve mechanical properties. 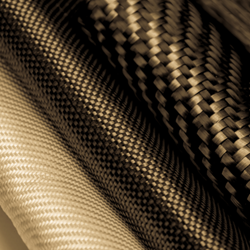 Increased fiber-to-matrix adhesion is beneficial to pre-preg fabric for composites and multilayer systems, such as roofing underlayment, that combine woven and nonwoven materials. Unyte Glide is for manufacturers of pre-preg fabric and multilayer systems combining woven and nonwoven materials, who can use these grades to increase lubricity and slip and facilitate tow spreading of fibers in technical textile production. They are also used as over-sizing to improve release, drape, and fabric processability. Unyte Heat operates at elevated temperatures without degradation and can withstand more thermal recycling operations. It provides heat resistance during primary and secondary processing, as well as in the end-use product, making it an ideal solution on braided three-dimensional structures where thermal insulation is required. Unyte Print boosts ink adhesion for improved print receptivity and minimal color bleed. Fabrics that are over-printed for decoration and branding, or with identification codes where legibility is essential, can benefit from these solutions. Unyte Slip produces outstanding anti-block properties making it perfect for fabrics, nonwovens, and pre-pregs which need to be stacked or rolled. It helps prevent finished goods from sticking together, and improve interlayer release and stack-ability. Michelman is introducing its exciting new Unyte family in Hall 5, Booth C34 at JEC World 2019. The show is being held March 12-14 in Paris.